Merit Maestro® Microcatheters - Flexibility. Pushability. Trackability. During embolization procedures, having a reliable microcatheter will enhance the efficiency of the procedure and provide the outcomes you expect for small vessel embolization. Increases trackability through tortuous anatomy. Proprietary nylon braiding provides excellent pushability, trackability and kink recovery when crossing small tortuous vessels. 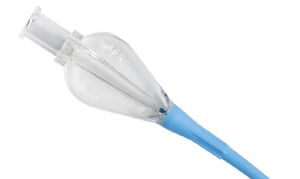 Once the Swan Neck catheter tip is in position in the vessel, the secondary curve helps seat the catheter in the vessel reducing the recoiling effect of the embolic agent as it is introduced. 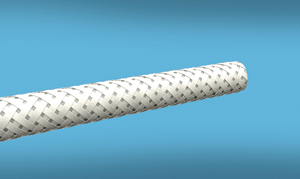 A Multipurpose Microcatheter designed for use in peripheral and coronary vasculature. 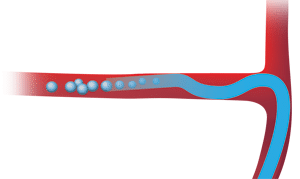 Merit offers a line of microcatheters to meet your embolization needs. 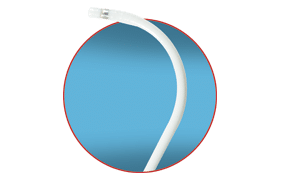 Designed to deploy coils up to .018” and embolics up to and including 900 µm, Merit Maestro’s swan neck design helps seat the catheter in the vessel reducing the recoiling effect of the embolic agent as it is introduced. Radiopaque marker for easy identification of distal tip of catheter. The Merit Maestro Microcatheter comes preloaded with the True Form Reshapable Guide Wire. This system adds ease in preparation of microcatheter and guide wire, which may save time and increase procedural efficiency.